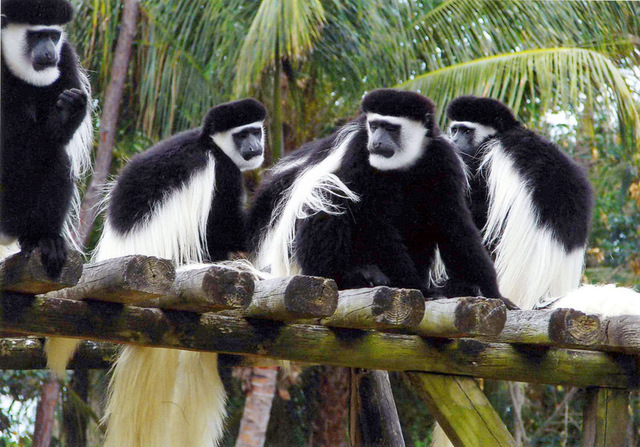 Naples Zoo has been around in one form or another since 1919. This was the year when Dr. Henry Nehrling, a botanist and conservationist, bought the site to replace a plant collection he had in Central Florida that had been destroyed by a freeze. He figured Naples was far enough south he could start over and not be frozen out. He moved to the property and started a tropical garden that soon had 3,000 species of tropical plants. Many of them still remain on the zoo property. The zoo continues its tradition of conservation by supporting projects all around the world ranging from endangered Florida panthers to Madagascar lemurs. The zoo is accredited by the Association of Zoos and Aquariums. It is a non-profit organization, having been purchased by the City of Naples after a record 73 percent of the voters supported the buy. Naples Zoo has a wide variety of animals, many of them not native to this part of Florida. Animals live happily throughout the zoo in habitats to maximize their freedom and natural habitat. You will see alligators, anteaters, bears, cheetahs, snakes, foxes, frogs, gibbons, gila monsters and a very popular honey badger that the kids love to interact with. The honey badger is behind glass and is one of the toughest little animals in the world, pound for pound. There are monkeys to watch, hyenas, coyotes and many other animals in exhibits or in shows. It is easy to spend an entire day at the Naples Zoo, especially if you attend one or more of the many scheduled shows. More information is available at Naples Zoo at Caribbean Gardens.